Happy New Year friends! I hope that you all had a wonderful holiday season and have managed to come into 2014 with a happy and healthy outlook on the year to come. 1) Satiating – They are extremely high in protein and fibre which will help to keep you full and satisfied for longer. 2) High in Fibre – They can help to control blood sugar and cholesterol levels. Fibre is also a critical component of intestinal health. 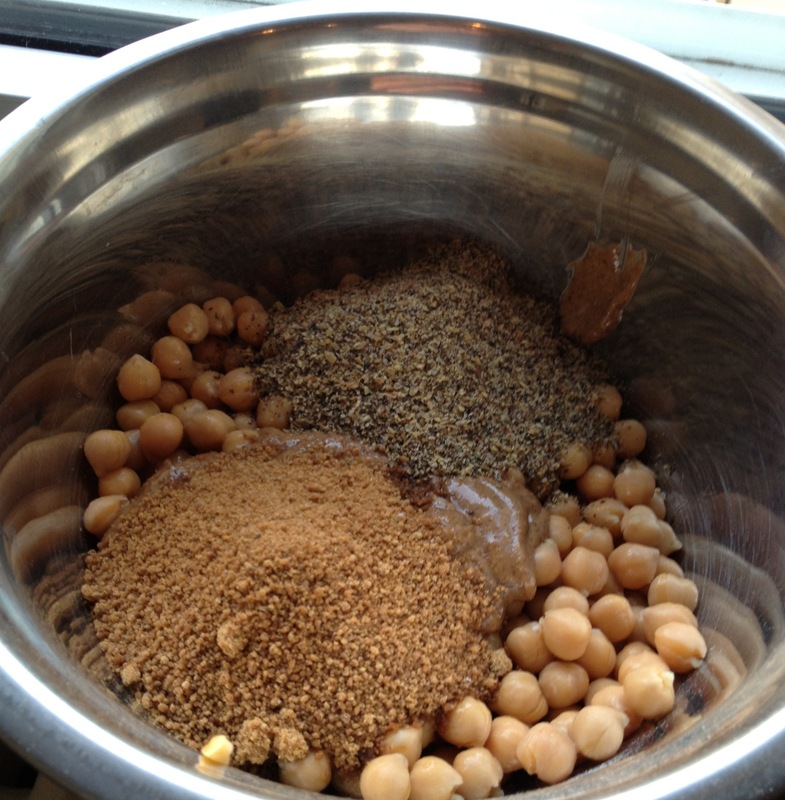 3) Diabetes – Chickpeas are low on the glycemic index and digested slowly. This is extremely helpful for those with hypoglycaemia and diabetes who require their blood sugar levels to remain stable. For those of you wondering how chickpeas as the main ingredient in a dessert could actually be sweet and tasty, I guess you will just have to try this recipe to find out! 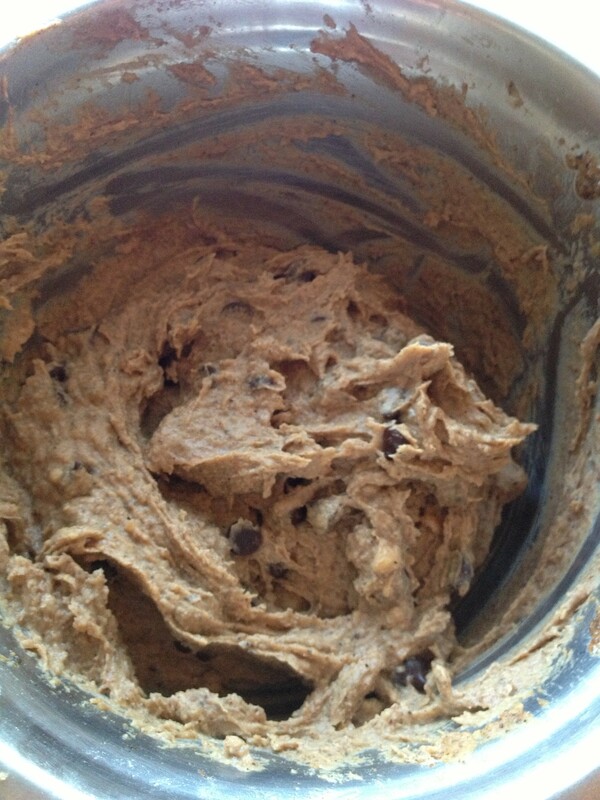 1) In a large bowl mix together all of the ingredients, except for the chocolate chips. 2) Using a hand blender or food processor blend the ingredients together until completely smooth. 3) Place in a bowl and add in the chocolate chips – mix together well. 4) Preheat over to 350F. 5) Using a bit of coconut oil, grease a baking pan that is at least 1″ deep and spread the mixture evenly. 6) Bake on 350F for 25-30 minutes. 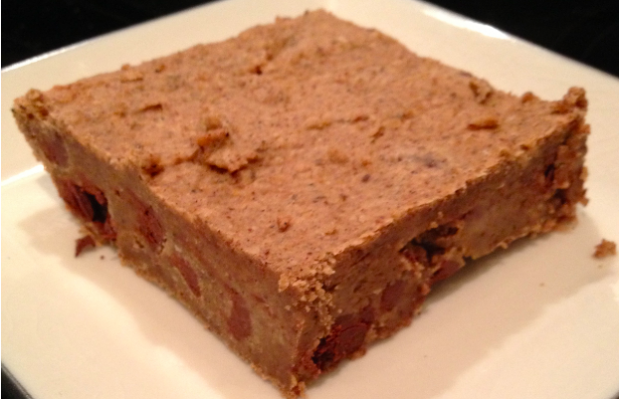 7) Must let cool for at least 20 minutes and then placed in the fridge to harden. 8) Should be stored in the fridge. Sorry for the delayed response Sara! You can always email me directly at ashley.kleiman@gmail.com with any questions! I did not bake mine that long, but putting them in the fridge can speed up the firming process for the future. I hope they worked out for you!! !